PremedHQ – Preparing future doctors since 2010. We at PremedHQ live and breathe medicine. We coach talented high school students who are passionate in medicine and gain them admission into elite universities – both BS/MD and traditional four year programs. We are proud to say PremedHQ students have collectively gotten into every single top 25 university and every top BS/MD program. We help our students gain meaningful clinical and research experience, maximize their academic potential, and become confident and compassionate physician leaders who will succeed in college and subsequently in medical school. At PremedHQ, we recognize this process can be immensely stressful for both students and parents. 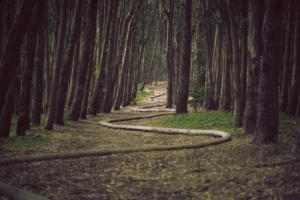 We guide you step by step and help make this journey rewarding (and even fun!). You will sleep better at night knowing PremedHQ is on your side. PremedHQ coaches were sitting where you are, not too long ago. They currently attend top medical schools all over the country. Our coaches choose to do this job because they truly love mentoring promising students who remind them of their younger selves. To see the full list of coaches please click on “coaches” located in the navigation bar on the top of the screen. It is never too early to join our PremedHQ family. We work with 9th, 10th, 11th, and 12th graders. We approach each grade with a different set of coaching objectives. In these early years, we get our students excited about medicine. We have our own special curriculum that will deepen your understanding of this noble profession. In addition, we maximize your academic performance, find you meaningful research and clinical activities, help you apply to summer internships and programs, and improve your writing skills, which will pay dividends down the road. We believe that starting early gives you a huge head start in becoming the most competitive candidates for your dream programs. 9th and 10th grade is, without a doubt, the best time to start the coaching process with Premed HQ. Starting early allows us to help shape and guide your student’s interest in the medical field. Your child needs to be able to grasp why he or she is interested in medicine, and why the medical field is right for them. This is achieved by partaking in meaningful medical experiences at an early stage. Volunteering at a hospital or becoming president of a school club is a good start, but everyone has that these days. We will create your child’s roadmap and help your child find the meaningful experiences that provide meaningful medical patient interaction, a deeper understanding of the healthcare system, and guide your child towards leading their own health-related community service movement. In addition to health-related experiences, our coaches will have regular meetings with your child to help plan every aspect of the candidacy: selecting classes, planning standardized exams, pursuing summer programs, finding research opportunities, completing applications for opportunities, gaining leadership experience, and anything else you or the coach deems helpful for your child to pursue. One of the biggest challenges for students who start the BS/MD process in 11th grade is that they do not have the convincing length nor depth of medical experiences. We turn down several students every year because it is simply too late in the game for them. That’s why we urge families to begin the process in 9th and 10th grade. Our coaches are also specially trained to be mentors. They will not only help your child in the BS/MD admissions process, but serve to enhance your child’s thinking when it comes to academic achievement, leadership, and personal maturity. All of which are qualities medical schools look for in their top-choice applicants. We understand this year is crucial and often very stressful. We will help you navigate your preparation for standardized tests, develop you as a leader in both medical and non-medical activities, help you complete your PremedHQ capstone project, and start selecting university programs for you to target. Finally, we will take on the arduous process of navigating your college and BS/MD essays early, so that the beast of a process ultimately becomes very manageable. With us by your side, senior year will be less of a doozy. The most crucial year in the BS/MD application process is 11th grade. Your preparation during 11th grade will make or break your BS/MD application success. Students who are applying to BS/MD programs need to keep in mind that they are essentially completing three-times the amount of applications compared to their peers. BS/MD applicants have to complete essays and applications for the BS/MD undergraduate schools, another set of essays and applications for the medical schools, and yet another set for the non-BS/MD undergraduate schools. We will start by creating a list of programs (both BS/MD and traditional 4-years) for your child to apply to. From there, we will start planning and organizing our applications throughout 11th grade. The more time we have to work on the essays and applications, the more we can put your best foot forward. Keep in mind that some BS/MD programs have up to eight essays that you have to complete. Applicants will apply to 10 BS/MD programs on average, plus additional 4-year programs. That’s a lot of essays and applications! 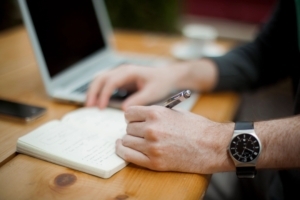 Each essay needs to be finely tailored towards each school’s interests and values. We make this process easy with the extensive knowledge we have on each BS/MD program, the network of school-specific experts we have currently attending at each BS/MD program, and our database of successful essays from previous years. Our coaches will help your student stay organized during 11th grade and the entire application process with our customized spreadsheets, timelines, and competitive deadlines. We hold the student’s hand every step of the way, turning a seemingly hectic process into smooth (and successful) sailing. All of your hard work comes down to this moment. And a new challenge it is, indeed: you have to maintain your amazing GPA while also applying to many college, BS/MD, and scholarship programs. Furthermore, this is the year you will be cementing yourself as a leader in all activities you partake in. Not to worry – early on, we will create your application game-plan, manage deadlines, polish your essays in an iterative process involving multiple PremedHQ coaches, and transform you into an interviewing champion. If you’re currently in the application process and just found out about Premed HQ, we can help maximize your chances of success even at this stage. Most BS/MD applicants are eliminated before even receiving an interview. This is because their essays and application fail to demonstrate the maturity and in-depth grasp of the medical field that admissions committees want to see in their top-choice applicants. Our coaches have the maturity, medical field experience, and technical essay expertise to help you draft powerful essays from start to finish. After we’ve helped you “wow” the admissions committee with your stellar essays and polished application, we will perfect your interviewing skills. Unlike other admissions consulting firms, we have multiple coaches that will interview at each of your interview preparation sessions. This is done to simulate the “Multiple Mini Interview” format you will encounter on your actual BS/MD interviews. Be wary of any firm that does not have a team of coaches interviewing you during one sitting, because then they are not truly simulating the actual BS/MD interview experience and subsequently setting you up for failure. Once your child gets accepted, it’s time to start thinking about finances. Did we mention that we can help you pay for your education? Our students receive an average of $85,000 in scholarship funds and many of our applicants receive full-ride scholarships. Our coaching team consists of full-ride scholarship recipients, and some have even won national scholarships such as the Coca-Cola scholarship. Our coaching team has won these scholarships for ourselves firsthand, and we have helped our students do the same. Over the past 6 years, we have been leading the premedical and BS/MD admissions industry. We are proud to have provided both exceptional admissions results and high-quality custom experiences for our clients. Which programs do PremedHQ students now call home? We love our job and have been doing it for over 8 years. With our guidance, our clients have been wildly successful, and more importantly, they have become even more excited about being doctors. We charge less than other services and take pride in conducting our business honestly and ethically. With us, you will have regular one-on-one attention with some of the most brilliant and compassionate medical professionals in America. If any of this information piques your interest, please don’t hesitate to call us for a free consultation. We would be more than happy to jump on the phone and speak with you. Abhishek graduated from Duke University with a triple major in biomedical engineering, chemistry, and biology. 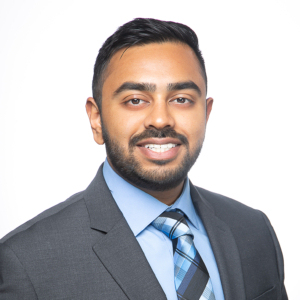 In addition to being a published scientific author, Abhishek has a few years of experience working in data analytics specifically in the health care business sector. 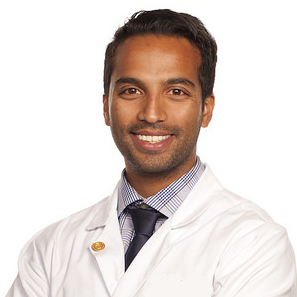 At UC San Diego School of Medicine, Abhishek has been elected class president and through his role he often collaborates with the administration to address the academic, professional, and social interests of his classmates. Abhishek has privately tutored MCAT material to over 40 students and has hundreds of hours of essay editing experience. 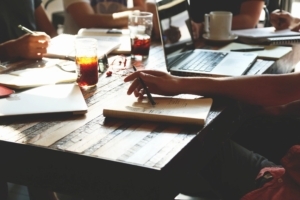 Abhishek will provide you honest and actionable advice to improve your essays, resume, and interview skills. 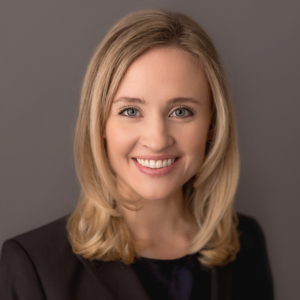 Sara Johansen is a fourth year medical student at Stanford School of Medicine. As a recipient of the Stanford Medical Scholars fellowship at Stanford, Sara pursued a year of independent research studying predictors of postpartum depression, and she plans to pursue a career with a focus in women’s health. Prior to medical school, Sara graduated with a Masters in Biological Sciences from the University of Alaska Fairbanks, and a Bachelors in Molecular and Cellular Biology from the University of Puget Sound. Additionally, Sara attended music conservatory at the Shepherd School of Music at Rice University, where she studied violin performance, and she continues to perform in the Stanford Philharmonia. As a future physician and active musician, Sara believes that cultivating a well-rounded, balanced life is the key to success, a ideology she hopes to share with her students as a PremedHQ coach. Currently, Sara tutors pre-college students and particularly enjoys helping students craft personal statements. She is very excited to be part of the PremedHQ team! 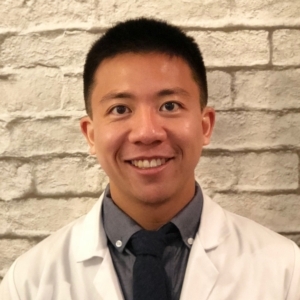 Sarek Shen is a current medical student at University of California San Diego School of Medicine. He graduated from Duke University with a double major in Biomedical Engineering and Economics. He was honored as a Pratt Fellow for his undergraduate research in protein engineering and directed evolution. After graduation, Sarek also worked at the NIH under a IRTA grant in the field of structural immunology and x-ray crystallography. At UCSD School of Medicine, Sarek has continued his research experience in a diverse range of clinical settings. He has presented his work in Plastic Surgery, Head and Neck Surgery, and Nephrology at multiple medical conferences over the past 3 years. Sarek has had significant experience in creating practice questions for MCAT prep courses as well as experience in editing application essays. With eight years of BS/MD coaching experience, Shadman (Shad) Chowdhury has turned the art of BS/MD admissions into a science. In high school, Shad successfully went through the BS/MD admissions process with a high school GPA that barely met the minimum requirements for most BS/MD programs. Shad developed unorthodox strategies to stand out in the highly competitive BS/MD candidate pool. His unique experience has taught him the vital importance of crafting an exceptional application and narrative, above all else. Shad develops the unique admissions strategies that contributes to the tremendous success and competitive advantage granted to PremedHQ’s students and families. Shad has been recognized by Forbes magazine’s 30 Under 30 list, which recognizes 600 innovators from across the United States (and Canada) who are leaders in their respective industries. Shad, along with PremedHQ Inc., has been honored by Forbes magazine for being leaders in the education sector for 2019. Shad’s clinical research interests includes cardiopulmonary critical care and chronic obstructive pulmonary disease. He has been invited to present his work at multiple international conferences, with his most recent presentation at the prominent American Thoracic Society Conference. His most recent 2018 publication in the Journal of Pulmonary and Respiratory medicine is titled Assessment of Hemodynamic Changes during Mechanical and Spontaneous Ventilation by Variations in Pulse Oximetry Waveform in Critically Ill Patients Undergoing Hemodialysis: A Pilot Study to Evaluate Reliability of a Noninvasive Technique. His second most recent publication is in the Journal of Chronic Obstructive Pulmonary Disease, and titled Noninvasive Assessment of Inspiratory Muscle Endurance during Rest and Exercise in Patients with Chronic Obstructive Pulmonary Disease and Cardiovascular Disorders. Shad has worked directly under some of the highest esteemed physician mentors in cardiopulmonary medicine, including Dr. Ahmet Baydur who has almost 50 years of experience as a medical doctor, and Dr. John B West, considered one of the “fathers” of pulmonary medicine. 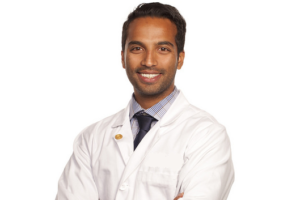 While working with some of the poorest and most medically under-served patients in Los Angeles under the mentorship of his seasoned clinician mentors, Shad gained deep insights into the medical field. In addition, Shad has observed the admissions committee deliberations for both medical school and residency programs. He has interviewed admissions committee members and deans of admission from some of the most prestigious BS/MD programs, medical schools, and residency programs in the nation. As a result of his experiences and insight, he demands that his team and his students produce exceptional quality work. He personally reviews the most critical essays of the BS/MD and college admissions process, for every student working with Premed HQ. He expects perfection by the time each student’s essays reach him, and Premed HQ’s advisory board, for the final approval. 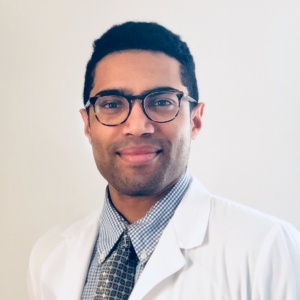 Yusef Jordan is a current medical student at Washington University in St. Louis School of Medicine, where he is interested in pursuing a career in Orthopedic Surgery. Prior to medical school, he graduated from Harvard University with a degree in Neurobiology and minor in Economics. He has conducted research throughout high school, undergraduate, and medical school in areas such as health policy and quality improvement as it pertains to neuroimaging, neurodegenerative disease, and metastatic spinal disease. 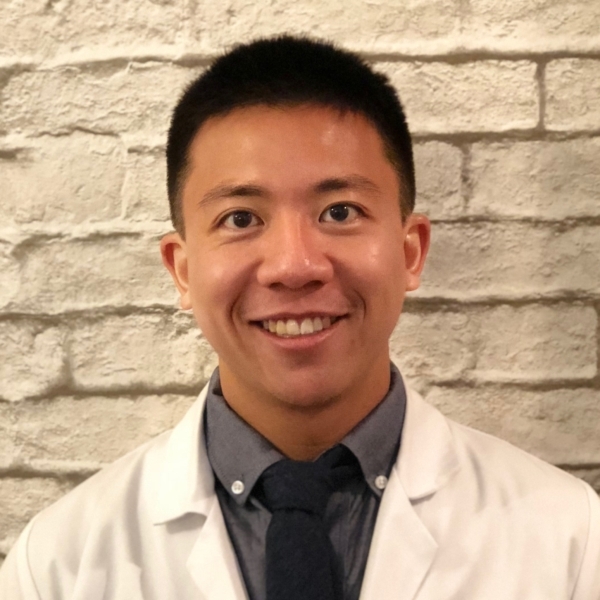 He took some time in between undergraduate and medical school to work as a clinical intern at UCLA, where he had opportunities to conduct research, shadow physicians, and participate in conferences. He also worked for a private tutoring company, tutoring students in a variety of high school and college, the ACT, SAT, and Subject Exams. Yusef is very passionate about education and plans to pursue a career in academic medicine. He has participated in mentorship programs throughout undergraduate and medical school, and enjoys the bonds he forms with his mentees. He understands the difficulties and challenges facing people who want to have a career in medicine, and wants to support these people in their endeavors in any way he can. 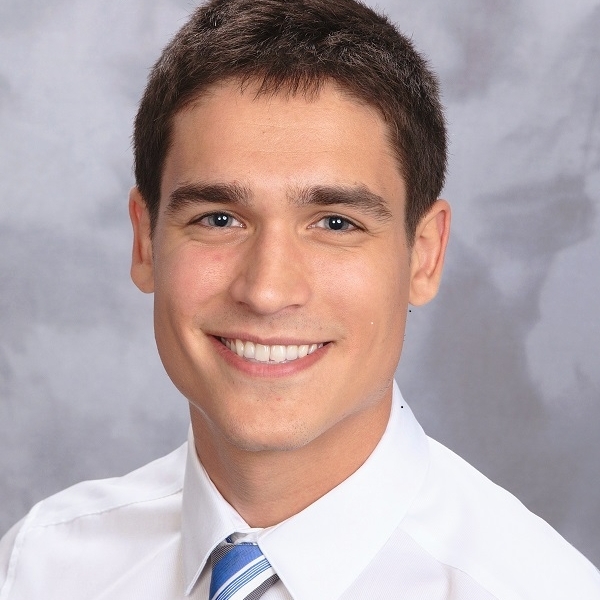 Taylor Docter is a current medical school student at University of California San Diego. She graduated from Harvard with a degree in Human Developmental and Regenerative biology. At Harvard, she was a 4 year letter-winner and captain of the Volleyball team and worked as a student researcher in the Melton laboratory studying the role of stem cells in type I diabetes. After her undergraduate education and before medical school, Taylor worked as a project manager for Human Care Systems in San Francisco, a small startup focussed on improving patient outcomes through online patient support programs. At UCSD, Taylor has continued to pursue research interests with work in breast cancer clinical trials at UCSF as well as emergency medicine and health informatics at UCSD. She has also contributed significant time to the UCSD student-run free clinic, providing basic healthcare needs to the local underserved and uninsured population. Tutoring and counseling has always been an important part of Taylor’s life starting with her first high school job as an after school tutor to continuing those pursuits here with PremedHQ. Michael graduated from Georgetown University as a History and Government major, and then completed the Columbia University post-baccalaureate premedical program. After that he worked as a research fellow at the NIH in the National Institute of Dental and Craniofacial Research. He has also maintained a longstanding interest in global health and has participated in international medical missions to India and Haiti. 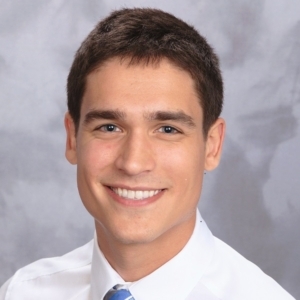 He is currently a third year medical student at Brown University, where he was the student leader of the Surgical Subspecialties Elective. Over the years he has worked as a tutor and student mentor, and he looks forward to sharing his passions and insights with the students at PremedHQ. Megan is a current medical student at University of California San Diego. She graduated from Stanford University with a degree in Human Biology and a focus in Physiology & Human Performance. While at Stanford, Megan competed on the Division I Women’s Varsity Swimming Team and was a 4 year letter winner, helping her team achieve 3 PAC-12 Championship Titles. She conducted research on pancreatic beta cells in a Type I Diabetes lab, and is published in a peer-reviewed journal for her work with a pediatric cardiologist at Stanford. Following undergrad, Megan worked at the Ashley Lab in the Stanford Cardiovascular Medicine Department, procuring heart tissue following transplants for a research study. Concurrently, she acted as chief editor for BridgeAthletic, a sports performance start-up in San Francisco that creates, delivers, and tracks customized training programs to professional athletes. 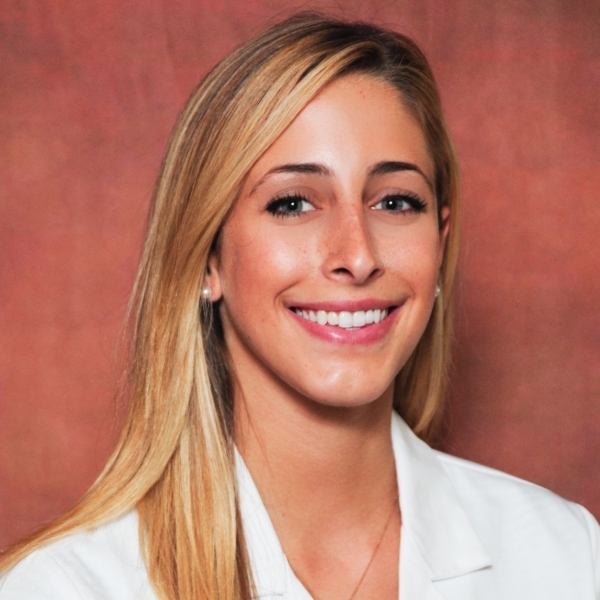 At UCSD School of Medicine, Megan continues to devote time to research and mentorship. She co-founded a Business in Medicine elective in her first year and presented at a conference for research in breast cancer. 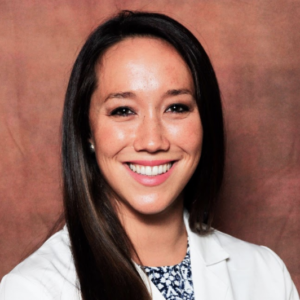 She is currently conducting research in Orthopedic Surgery and volunteers weekly at the UCSD Free Clinic, providing comprehensive medical care to underserved patients in the San Diego community while mentoring junior medical students. Megan is passionate about medicine and education, and is excited to help her fellow future doctors on their path to success with PremedHQ.